I had a busy week last week! I hope you all enjoyed reading about my escapades. The I Wish You a Merry QAL started last week the release of the first block. It's not too late for you to make the block and post it in order to enter the giveaway. Click here to learn more. I also received a new box of gorgeous batiks from Island Batiks and I even made a video! Click here to view it. I also finished my Island Batik Challenge for July! It's pretty darn cute if I do say so myself. Click here to see it. Wednesday is all about works in progress and lucky me, I'm going on a quilt retreat this weekend so I expect to get a lot of things done. For one, I'll be sewing up the next block in the I Wish You a Merry Quilt Along. As host, I have a preview copy of the instructions and I need to make the block for my post next Tuesday. 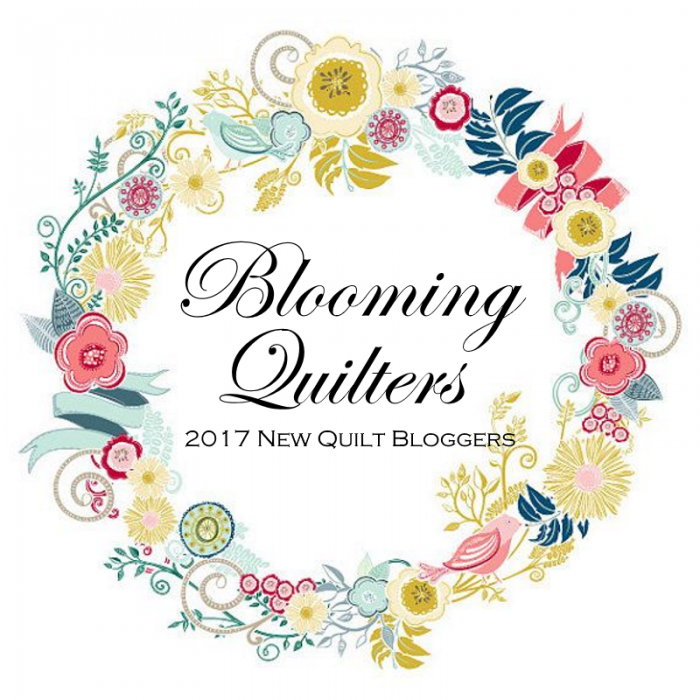 My quilt guild has a show coming up, and there are several pieces I need to work on for that. I also have my Bee Inspired block for August to complete, and several other projects. Next Wednesday I'll hopefully be able to show a few of them off. Let's see what you've been doing. First though, it's time for our weekly feature! There were a lot of travelers last week, and learning about Jen's quilt retreat, Susie's trip to Alaska and Karen's Minnesota shop hop sure was fun! But for purely selfish reasons, I'd like to feature Susan @ SevenOaks Street Quilts, a member of my online bee, Bee Inspired. Susan blogged about her Inside Addition quilt. The quilt is made up of blocks made for her by the members of Bee Inspired, and another bee she is in. Susan wanted a rainbow, and I think she got it! Isn't her quilt wonderful? I can see my block on the left in the second row--it's purple of course, my favorite color. Sure had a lot of fun making that block! Congratulations Susan! Grab an “I Was Featured” button for your blog. Older PostMy July Island Batik Challenge is Complete!